“The love for equals is a human thing—of friend for friend, brother for brother. It is to love what is loving and lovely. The world smiles. We want to take this time to celebrate with Rui and Dercia on the birth of the first child, Daniel – 3rd April 2012, at 3:30am. Dercia and Daniel are both healthy, and after a day in hospital, both have returned home to the delight of Rui. 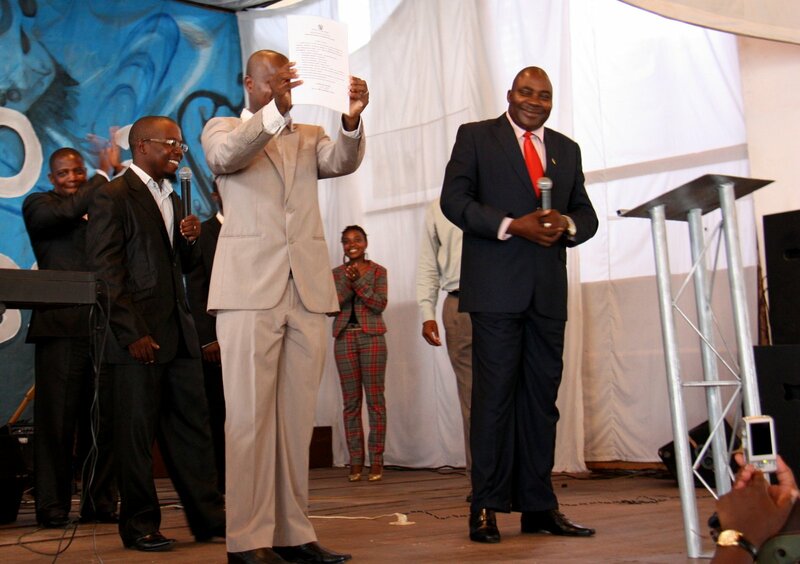 Life Church Mozambique is finally registered with the Department of Religious Affairs in Mozambique. This process has taken 3 long years, and it couldn’t have come any sooner. One of the ministers mentioned to Ps Esvaldo that all the churches which have not been registered with the department, will have to close down until such time that they receive their registration. We thank God for His hand in all of this, without His provision, we would have been in a predicament. We held a combined service on Sunday, with all the campus meeting at our central campus, to celebrate the event. In addition to Ps Anthony, Ps Desiree, and Derek (all from Life Church Cape Town), we were pleased to have the Governor of Zambezia Province, the minister of Religious Affairs and the minister of Justice with us for the event. Both the Governor and the minister of Justice thanked the church for taking the initiative, for not only talking about being the difference, but BEING the difference in the community – a great encouragement to the leadership and the team out here. After months of hard work, numerous obstacles and hardships, the village opened it’s doors to delegates, members of the church, as well as the community of Gogone. Guests, many of which have not seen the village, were given the opportunity to explore the village, and see what has taken place. Children from the peace school kicked off proceedings with song and dance, followed by Ps Esvaldo, who welcomed everyone to the opening. The minister of Education, who was also present, congratulated the church for the work which they had in the community, and encouraged them for the work still to come. Ps Anthony then gave a brief history of the project, and thanked Ps Esvaldo and Ps Annmaree for the work which they have done, and the sacrifices they have made. Being such a big event, it was also fitting that the two families, who have been identified and selected for the first two houses, were introduced to everyone present. A mother, daughter, and three boys, lived in a ‘house’ approx. 4 square metres in size (no exaggerations), were now presented with a house 70 square metres in size – you can only imagine their surprise, and the emotions they experienced. We were also privileged to have the mayor join us for the opening – he was very impressed with the work done, the initiative taken by the church to make a difference in the community, the ‘self-sustainable’ nature of the village, and numerous other aspects of the project. All in all, the day was a huge success – enjoyed by all. Once again, a huge thank you to everyone who has been involved in the project – design, funding, construction, as well as everyone who has supported the church here in Mozambique – in prayer and in word. 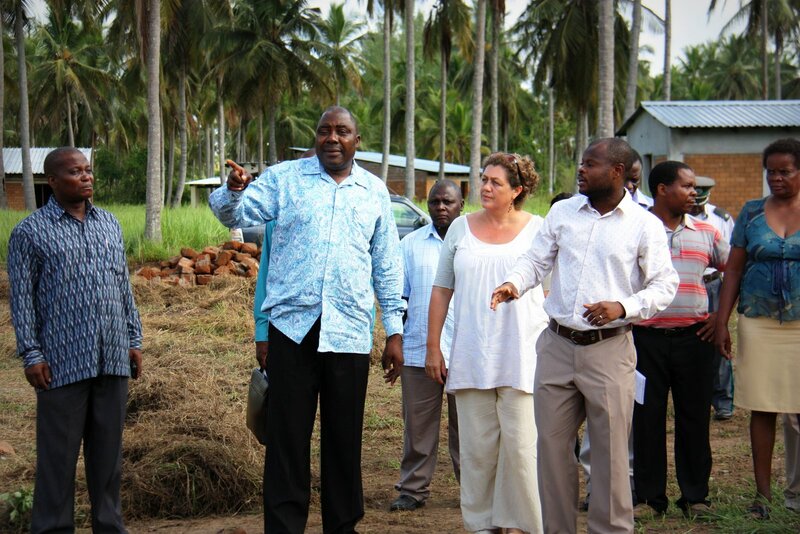 The governor, of Zambezia Province, made a special trip to Okalawo Village to see the work that has been completed thus far. Ps Esvaldo & Annmaree, along with the other pastors, took the governor on a tour of the house that has been completed, as well as the two classrooms that have been completed thus far. They also took the time to show him the short presentation of what the completed project would eventually look like. The governor was incredibly happy with the work that had been completed thus far, and is excited for the works that is still to come. He congratulated the team for the time and effort they had put in to make this phase of the project a success. 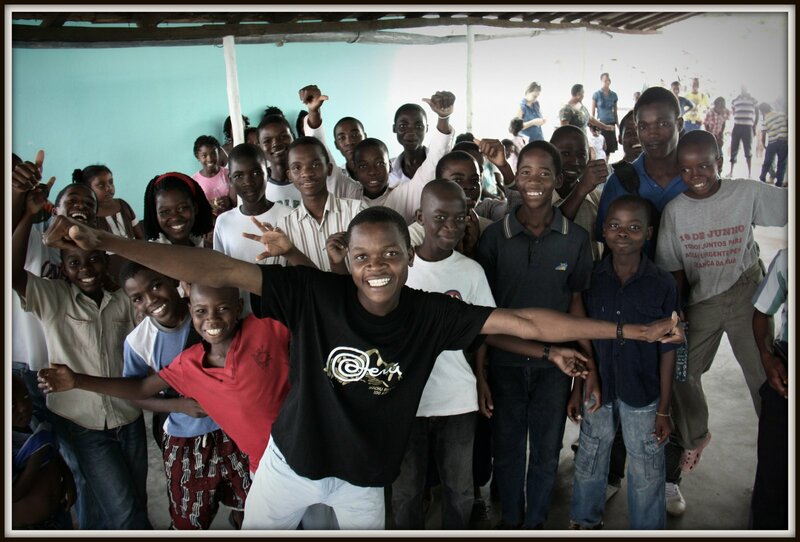 Well done to everyone that has been involved to date – the leadership of Life Church Mozambique, Stephan, the construction teams, Melissa, as well as all the sponsors. Phase 1 has had it’s ups and downs’, but by the grace of God, and the persistence of the team, it is a resounding success. Ps Anthony, Ps Desiree and Derek arrive from Life Church Cape Town on Thursday for Fridays opening of the village. I was invited, by Belu, to chat to the guys who have been struggling with the pressures of the world around us. This was undoubtedly the most moving experience I have had since being here. There were roughly 20 young boys and girls, crammed into a room, with an average age of round 12/13. 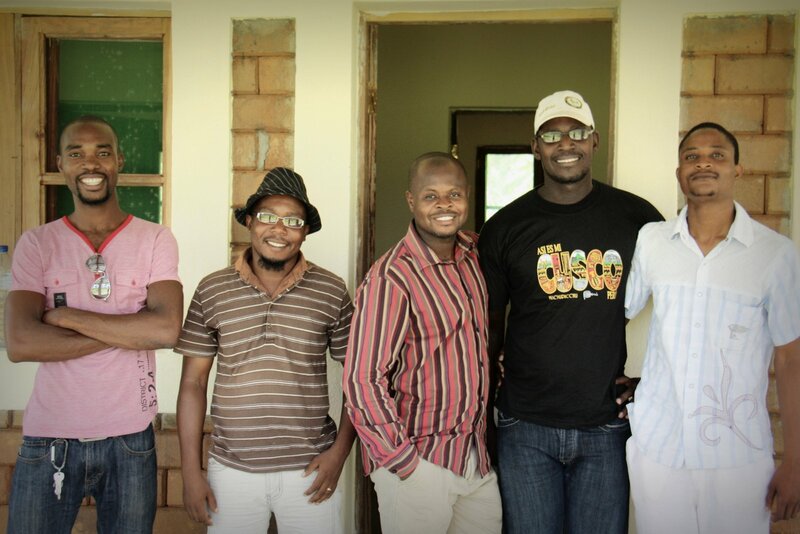 These weren’t ordinary boys and girls though, these were cell leaders and supervisors. These KIDS where leading 8-10 other KIDS, on a weekly basis, in the ways of our God. This was the next generation of leaders, taking the authority given to them by God, and standing up for what they believe in. Not only this, but they were impacting the generations to come. I wasn’t just speaking to 20 young people, I was talking to 20 young people, who would pass this message on to a further 160-200 young people. What left me dumbstruck, and in complete awe of who God, was the authority, the faith and passion of these kids. I couldn’t help but humble myself before God once again. Back home, when it comes to group prayer, we tend to hold back – we pray softly, sometimes mindful of people around us, but here its the complete opposite. 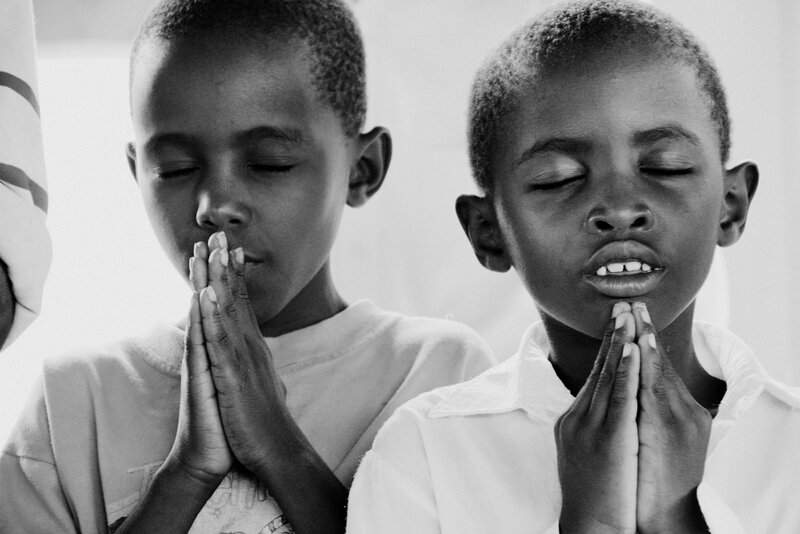 These KIDS couldn’t contain themselves, as soon as they began – each one praying simultaneously, boldly, and with authority – the presence of God fell within the room. I couldn’t tell what each prayer was about, but I knew within my spirit that God was pleased, well pleased with His children. greatest in the kingdom of heaven. It is so easy to get caught up in this world filled with temptation and distractions, especially for the younger generation. Satan wants to destroy the lives and the potential of the next generation, after all, therein lies the next president, the next mayor, the next person of influence. It is our responsibility to stand in the gap, to intercede for them, to teach and to mentor them. If we, as the church, don’t raise up the next generation, the world will. Berihoska Mora, or Belu, as she is known out here, has spent 3 years in Mozambique, and has just returned for her third, long-term, term. Belu’s been sent by AOG Peru to be apart of the Life Church team in Quelimane, to work in the areas of preventative health and self-sustainability. She is also very involved in the children’s ministry. We thank her for the sacrifice that she has made to be with us, and for the work that she is doing out here. 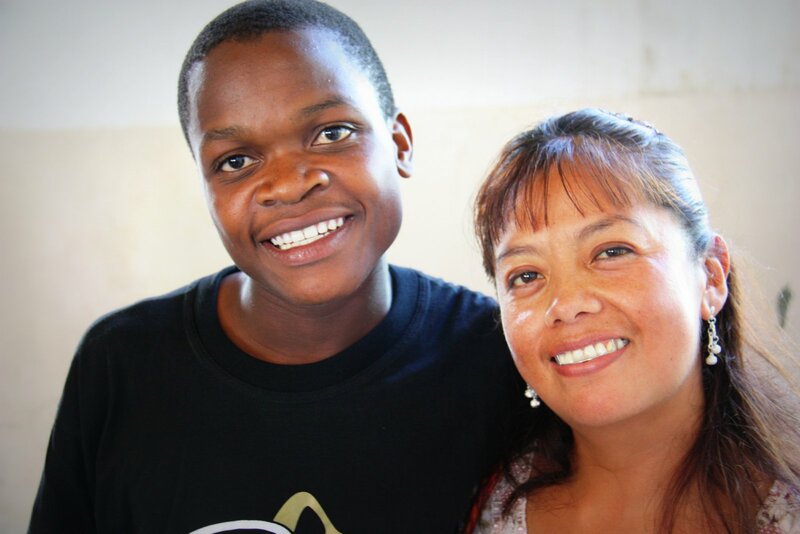 At the age of 14 years, Budi was orphaned by His mother, and having not known his father, he stayed with his uncle in Maganja. Due to the influence of his friends, he ran away from Maganja and headed for Quelimane, 200km from Maganja, where he got involved in a notorious street gang. In February 2007, he was invited to live at Sangarlivara with a substitute family as part of the work of Assemblia Crista – Life Church. It was here that he received salvation and grew in his relationship with God, and grew his personal character as well. He was raised up by mentors, and took up a leadership position within the cell system, leading other young people in their walk with God. 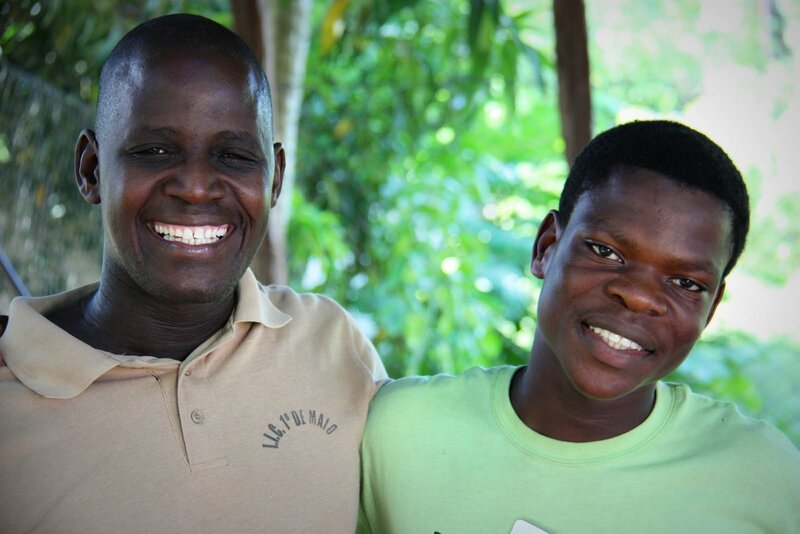 Budi recently overcame his fear, and told his house dad about his extended family in Maganja. No one knew Budi had an extended family, as he never mentioned it in the five years of staying in Sangarlivara. His house dad accompanied him to meet his family again, with an emotional reunion, as the family believed he was dead. The family have since invited him to come back to stay with them – Budi is ecstatic about this opportunity to be reunited with them. We are currenty preparing for his return along with his family and social welfare.